Relemac Technologies Pvt. Ltd is the name to reckon with if you are looking for high performance Telecom Telephone Cable in India. 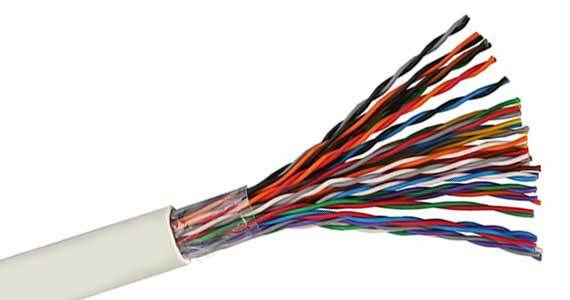 The wide range of Telecommunication Cables that we deal in comprises PCM cable, Telephone Cable, Information Wires, etc. We are well-known Manufacturer of Telecom Cabling & Telecommunication Cables from India and make available the cables in different types. Annealed bare/tinned high conductivity copper. PVC/PE/Cellular PE insulated. Insulated cores twisted to form a pair. Pairs laid up in sub-units/units in concentric layers. Taped. Overall PVC sheathed. Individual and or overall shielding with Aluminium-Mylar tape/copper tape/lapping/braiding provided depending upon the requirement. Armouring provided with an extruded inner PVC/PE sheath and overall sheath of PVC/PE wherever required. For telephone switching Exchanges, Switch board & telephone wiring ( MDF, SDH, DWDM, DSLAM etc., ). Pulse code modulation systems. RS-232 Communication Systems and Digital Transmission networks. · Suitable for operation at voltage of 250 Volts. · Cable suitable for conductor operating temperature 70 o C, 85 o C & 105 o C shall be provided on request. Fire Retardant/Fire Retardant Low Smoke/Zero Halogen Low Smoke & Sheath material shall be supplied on request.